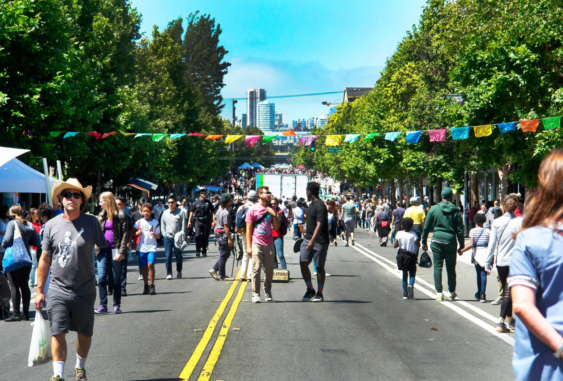 Sunday Streets (March – October 2019) is San Francisco’s official block party – a sorta-monthly roving neighborhood celebration and five-hour street party where the streets are closed to vehicles, so pedestrians, roller skaters, bicyclists, and yogis take over the streets for an afternoon. 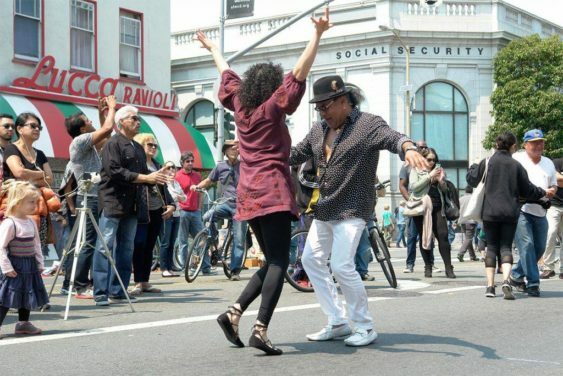 What happens at Sunday Streets? Every month is a completely different party, but throughout the 2019 season you can expect activities like treasure hunts, dance performances, hula hooping, dodgeball games, yoga classes, bubble parties, and tons more fun stuff in the city streets, all for free.